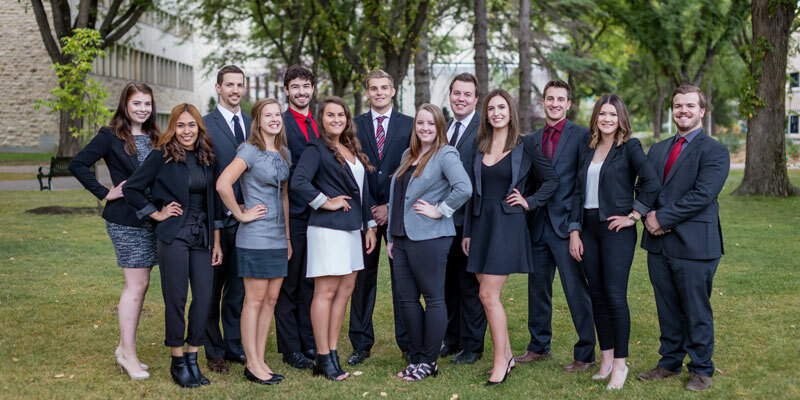 The 2017 Organizing Committee is comprised of University of Saskatchewan students from Business, Engineering and Geology. Known as Canada’s first global undergraduate mining strategy case competition, the World Mining Competition, presented by PotashCorp, is a student-run and student-inspired event that embodies a multidisciplinary nature. Founded in 2012, the case competition brings together international student leaders from top engineering, business, and applied science programs to collaboratively develop ideas and solutions to major issues and concerns currently affecting the global mining industry. October 26-29, 2017, will see Saskatoon and the University of Saskatchewan host student teams of four from Canada, Chile, Germany, and the United States. The focus of the weekend, the 36-hour case, provides detailed background information about the current condition of a company or an industry and challenges student teams to make a recommendation from the perspective of a decision maker. This year’s theme – “Utilize the Past. Redefine the Future” represents the current transformational nature of the mining industry, and the inclusive strategies needed to enable organizations to be more progressive moving forward. Turning challenges into opportunities is integral to the theme as WMC celebrates the innovation that occurs when a diverse team works together a problem to create the most robust solution. The case and presentation will challenge students to utilize best practices and showcase the vast knowledge new graduates are expected to have and contribute to the industry. The celebratory awards gala, presented by K+ S Potash Canada, will take place at TCU Place on October 29. The evening will feature a keynote from PotashCorp’s Executive Vice President and Chief Financial Officer, Wayne Brownlee.